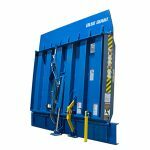 Blue Giant pit style dock levelers are an integral part of loading bays all over the world. 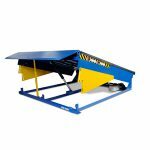 These durable units provide a smooth path for cross-docking traffic, reducing bumps and bouncing that can injure forklift drivers and damage both equipment and cargo. 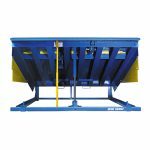 The Blue Giant VL vertical storing dock leveler is the perfect loading dock solution when strict climate control or high cleanliness levels are required. 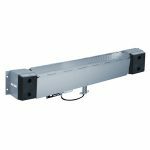 By allowing overhead doors to close all the way to the pit floor, energy loss is minimized and dust, debris, and pests are kept out.